An application has been lodged to install four illuminated signs at 799 Pacific Highway. This is between Victoria Avenue and Thomas St and opposite Chatswood Primary (where an illegal sign was recently installed). Illuminated signs on the border of the CBD have always been contentious. We will need to hope our elected representatives ensure any approval given is consistent with long fought for codes. It looks like there will be a new public school opening in 2015 on the old UTS University site in Lindfield. Whilst this site is outside West Ward it could have dramatic impact on our local school. It is mooted that the school will accommodate 3,000 pupils. The school will operate on a contemporary ‘New Age’ model with lots of Wi-fi and Skype and a ‘village of learners’. It also mooted that the school with cater from pre-school to university entrance classes. Pat’s wife Beth) and daughter (Sophie) were consulted. They preferred the option of a statue at The Concourse. Willoughby City Council of $35,000. of his service and leadership, particularly in the delivery of The Concourse. 4. Further discussions be held with Willoughby Theatre Company to explore the possibilities of an annual award being held. Council is yet to decide on this matter. Thank you again for your support over the last (almost) 2 years! With the NSW State Elections just 8 months away, the BPN is gearing up for a new phase of campaigning for better planning across NSW. It is vital that we raise enough funds to enable us to run a strong and effective campaign and we hope that you will be able to support this call for donations. Development and business lobbies are well-resourced financially and professionally staffed – in the order of millions of dollars annually, paid for by members who stand to benefit from their lobbying. With your passion and energy, thousands of hours of volunteer work and your financial support. But we have not finished the job! Last year, together, we made sure that we stopped the Government’s Planning Bills 2013. Our next step is to ensure that whichever party is elected to govern NSW in 2015 puts in place a visionary planning reform that benefits, rather than takes away from, communities. So we once again call on your generosity to enable us to continue the fight. Your donation will ensure that we can engage vital project management, administration and media services that will greatly contribute to the running of an effective campaign. 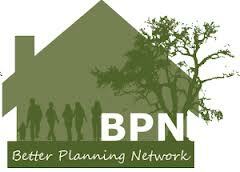 Please make a donation now to the BPN. Our Financial Policy is attached – if you have any questions please do not hesitate to contact us. In a big or a small way – your donation makes a real difference to our work. 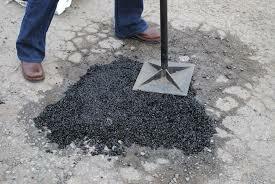 Willoughby Council rates very highly on road maintenance spending compared to other Sydney Councils. In fact, Willoughby Council is the eight highest spending over $140 per person. However, Council still has a $8 M backlog of works. Some (10-15) years ago , the ten Director of Infrastructure (later GM) John Owen organised a $1 M p.a levy for road maintenance. This proved to be a most wise approach. Mayor Gail Giles-Gidney will be attending our meeting this Thursday 17th July at 7:30 PM at the Dougherty Centre. Our President, Jim McCredie, has asked that she address in detail the ‘promises’ she made during her election campaign. A list of these promises is provided below ,plus Jim has suggested areas of concern in the details below. If you have additional specific concerns you would like to raise with the, please send them in advance to terry.fogarty2@gmail.com. Can she work with Council of Mayors and the NRMA to restore Willoughby’s traffic arteries to future National Roads Planning? These are the F1 and F3 Freeway and Blue Gum Arterial alignments? I note in the latest NRMA Open Road magazine that the NRMA and seven local MPs are launching a public campaign to advance the long awaited “M1 Princes Motorway” extension in southern Sydney. NRMA has hosted workshops attended by industry stakeholders, MPs and local Councils, which helped to put what they are already calling “Southconnex” back in the minds of decision makers. NRMA has made funding for the [F6] extension one of its top priorities in its State Budget submission. North Sydney Mayors should act together, and with focus on efficiency and cost. Council’s street parking strategy is hugely unpopular. The strategy itself states the problem arises from Council’s failure to provide adequate off-street long term parking. Can Council. seek funds from the NSW Parking Levy to build parking stations for long stay parking with fast access to relevant destinations, such as the railway station and interchange and future commercial areas decreed by long term State metroplans? Demographic growth of the elderly population will outrun other age groups. Will Council address the further development of the award winning initiative of the Dougherty Centre by replicating it elsewhere in Willoughby, or including similar facilities as a zoned strata on all future residential towers? Will Section 94 development of open children s’ and youths’ play areas adjoining tower developments be enforced in place of c ash contributions to general slush funds that can be frittered away at distant sites of poor accessibility to tower dwellers? 3. Enhancing local shopping and promoting the Chatswood CBD. Chatswood west of the railway lost its village strip shops under Council’s fetish for commercial towers. What can be done about it? Most locals shop by car outside Willoughby,reducing the city commercial rate base. Will the railway concourse shops address their strip shopping need, which includes short stay free parking? What plans can be made to massively extend the bus interchange size, as petrol price rise and a large increase in bus patronage grows? 4. Optimise sport and recreation facilities. The Willoughby Leisure Centre is beyond reasonable access from the western side of the municipality, for busy casual users. The Lane Cove River is often severely polluted by sewage and tip runoff. A children’s pool in the National Park years ago was a key local social meeting point for west Chatswood families. Council could serve the whole community better with another more spartan leisure centre in the West Ward. 5. Maximise use of the Concourse. A major constraint to the use of the concourse is the cost of parking. The parking meter pay stations should permit Council library cards to be read and the crt park entry ticket endorsed electronically as paid. There should be no payment for under three hours. 6. Protect our natural and built heritage. Planning for 6,000 more dwellings will require some re-zoning for higher density. This needs to be respectful of the neighbours who are permanent lifetime residents, unlike “hit and run” developers. Council should commit itself to continuing its past practice of notifying neighbours well in advance of approval; if thought appropriate at the earliest moment Council hears something in the wind. Council should prohibit ALL spot re-zonings, and re-zone only during a major LEP revision that entails radical fundamental upgrades of all infrastructure services, so that developer contributions permit payment sand completion of supporting infrastructure before any certificate of completion is issued for new residences. The North Sydney Committee of Mayors should write formally to Sydney Water, requesting information on the continuity of availability of hydrant water during extreme and widespread bushfires in the Lane Cove Valley. Some years ago. Mayor Reilly together with other mayorsraised this issue, and got an unsatisfactory response. Insurance-linked investigators at Macquarie University forecast that several thousand homes in Chatswood, and several tens of thousand homes in Kuring-gai are under threat. Professional fire engineers should be engaged to determine if additional water storages are needed in each bushfire prone area. Council should ensure that LEP major up-grades to permit population density increases include all utilities; and the cost of up-grades is fully met in a timely way to have all upgrades complete before occupancy of added residential accommodation. 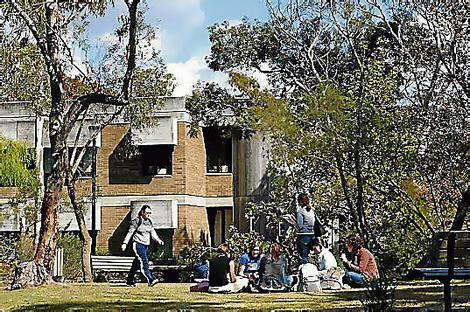 Chatswood CBD needs an academic centre of tertiary excellence. St. Leonards has a law school and the Kolling medical training centre. Chaswood should be a centre of excellence for some type of professional activity. Our new MAyor might consider building planning and construction. A necessary part of such an educational facility is that it be located near the centre of the professional employment of the activity, to permit flexibility through ongoing training. I think a good campus site would be at Pius X college, or in the Thomas Street towers. Chatswood Chase has lodged a Development Application seeking to reduce free parking to 2 hours (currently 3 hours). for 2 1/2 hours you will pay $3.00. Parking for 3 hours will cost $6.00. After that normal fees apply. It is also proposed to ‘trial’ a validation system to allow the third hour for free IF you spend more than $50.00. The Council Officer is recommending APPROVAL of the proposal albeit with some changes to the application viz.the third hour validation to be unrestricted (no need to spend $50.00) and a maximum charge of $3.00 for the third hour. Of major concern with this proposal is that it was NOT PUBLICLY NOTIFIED as the Council Officers knew that “Council is aware of the opinion of the community Regarding 3 hours versus 2 hours free parking for shoppers it having been a subject of much ongoing complaint in recent years”.